As you can see from the artifact above, I aspired to be a writer at an early age. 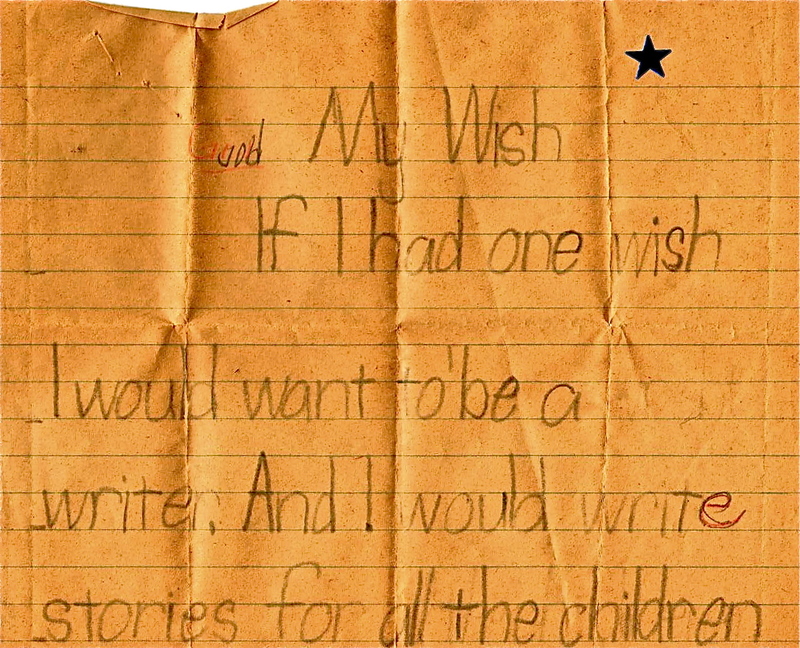 Note that even as a first-grader, I used a classic copywriting technique (to the dismay of strict grammarians) and started my second sentence with “And.” And Mrs. McLenaghan didn’t mind – she still gave me a star! I write content for all kinds of companies in all kinds of media. The clients who benefit most from my writing services know their products and understand their audiences – they just can’t translate those insights into written words. I infuse their content with the right voice, the proper positioning, and the key benefits. With proven copy techniques, I transform their words into powerful brand assets. One of my most rewarding projects was scriptwriting and co-directing a 30-minute documentary on the State Home and School, Rhode Island’s first orphanage. It aired locally on PBS. More recently, I’ve had pieces published by the Syracuse Post-Standard and the Providence Journal, and now write a monthly column for the Journal’s Op-Ed page. You can can find all my Op-Ed pieces on my blog. Not loving your content? It’s time to re-tell your story. Contact me and let’s get started.